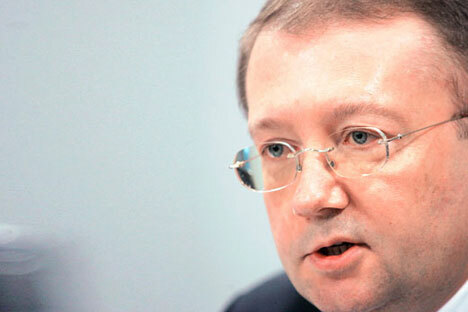 Russian Ambassador to the UK Alexander Yakovenko has asked for assistance in establishing contacts with the Free Syrian Army (FSA) to coordinate efforts in the fight against the group Islamic State (ISIS). "Dr Yakovenko also said that the Russian side would appreciate British assistance in establishing contacts with the "Free Syrian Army" on eventual coordination between the FSA and the Syrian armed forces in combating ISIS, and on possible FSA involvement in the political process," a report posted on the website of the Russian embassy in London says. According to the report, Yakovenko and Foreign Office Political Director Sir Simon Gass exchanged opinions on the current situation in Syria during a meeting on Oct. 8. "The Ambassador stressed the need to consolidate efforts international to effectively counter the threat to the entire international community emanating from the "Islamic State" and other terrorist groups. Dr Yakovenko and Sir Simon shared the view that the counter-terrorism effort should go hand in hand with joint work aimed at promoting a political settlement of the Syrian crisis," the Russian embassy in London says. According to the report, "Upon request of the Political Director, the Ambassador explained the aims and the conduct of the current Russian military operation against ISIS, carried out in response to a request by the Syrian Government." "He expressed interest in receiving information at the disposal of the UK side regarding the extremists' infrastructure so as to further enhance the efficiency of the air strikes," the report says.